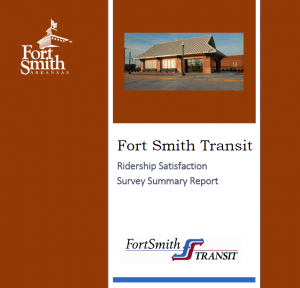 In early spring of 2018, Fort Smith Transit (FST) conducted an on-board fixed route and on-demand ridership satisfaction survey. Data on routes, trip purpose, demographics, and customer satisfaction is presented in further detail within this report. The survey findings for FST are summarized below and the report offers insight into FST transit rider needs and the sufficiency of the FST system.